So we're just over a month into 2016 and the year of the Monkey. 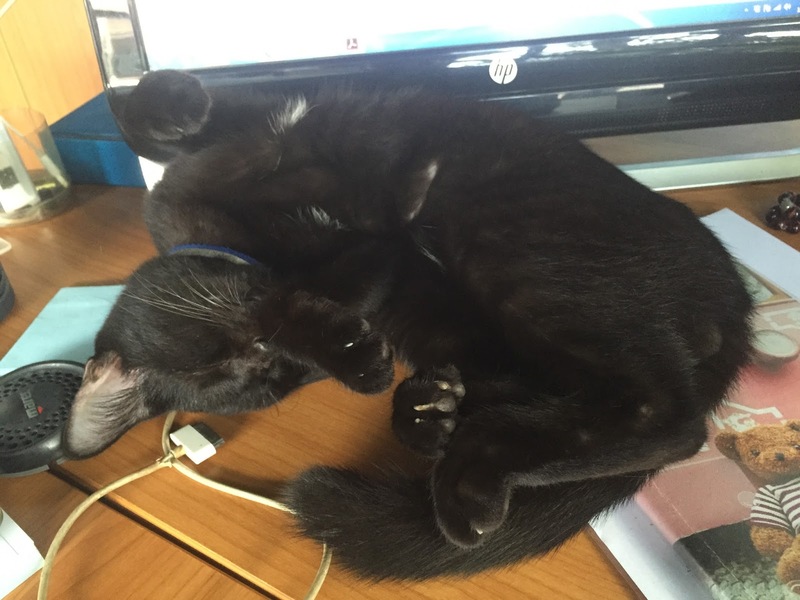 Quite apt really as we have a cheeky little Monkey in the name of our office cat! 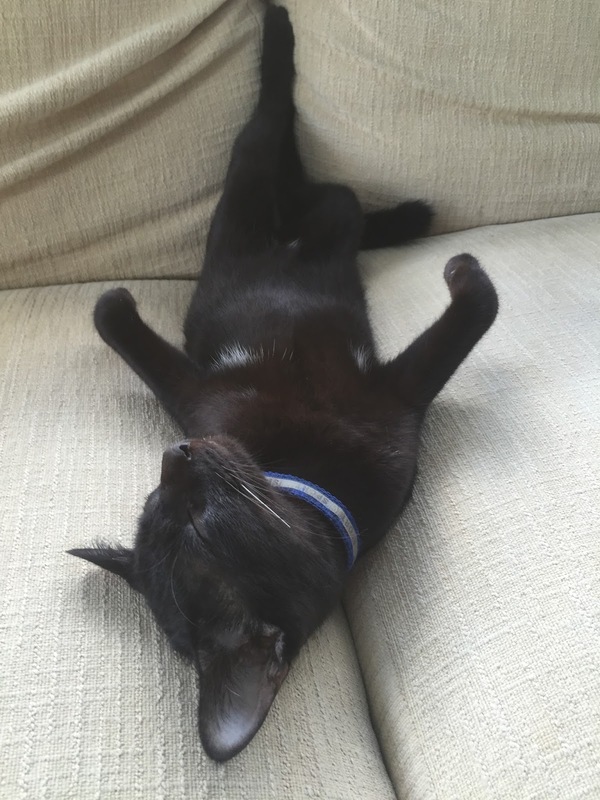 He has worked extremely hard these last few months fighting 23 hours of sleep a day! Whilst we did have some poor weather days at the end of last year and the seas have been quite consistently 'bumpy', generally speaking we think the monsoon season was better than previous years and has not dragged on too much into January/February (with the exception of a couple of storms!) So here's to hoping for lots of sunny days to come with flat seas and great visibility! Last year, we certified over 320 divers and introduced hundreds more to our underwater world as participants of the ever popular Discover Scuba Diving programme. If you're not sure where to begin or are not sure if you are going to enjoy breathing underwater then this is a great place to start. If you complete the Discover Scuba Diving with The Dive Academy and express an interest that you might want to continue on to the Open Water course (so we can ensure all skills are covered), then you can always 'upgrade' and become a certified diver whilst you are here. Midnight Blue also came out of the water for a couple of weeks to have her yearly makeover. As well as the standard re-application of anti-fouling to protect her hull, she also had a complete face lift with a re-paint inside and out. 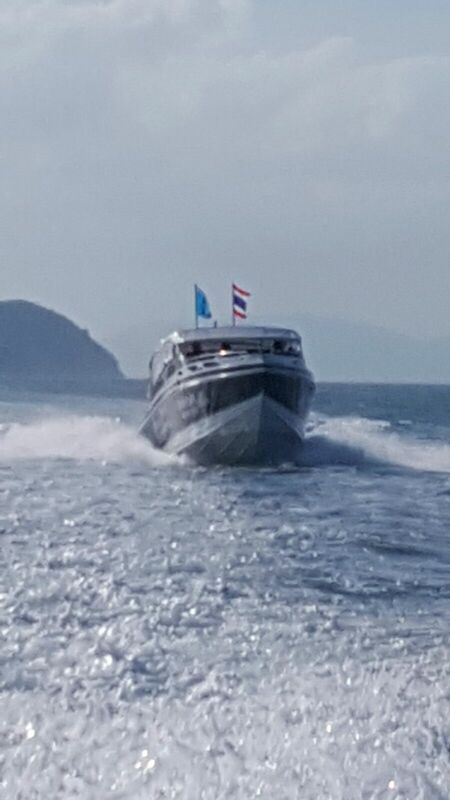 So she is now looking like new and is a stunning looking boat, even if we are a bit biased! 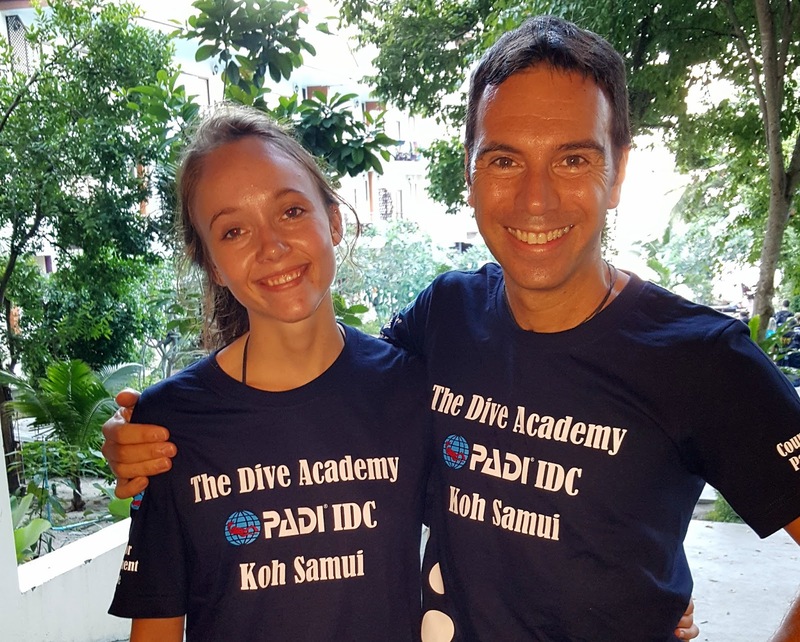 January saw another IDC (Instructor Development Course) take place at The Dive Academy with 2 new successful Instructors on the block. Beth from the UK who has already started team teaching with our experienced Instructors and Luca from Italy who is going to teach diving & freediving in his spare time from running a smoothie bar and teaching yoga! Well done to both of them, who worked extremely hard to achieve their professional ratings. From the young to the more mature, we met Maureen (otherwise known as Mo) who took to the water for the first time on her 70th birthday. Mo is steadily ticking things off her bucket list and scuba diving was the next one after wing walking, skydiving and other adrenalin activities! After a Try Dive in the pool where she was like a duck to water, she headed out on the boat for a Discover Scuba experience. Mo loved every minute of being underwater and even asked us if we could give her a job! 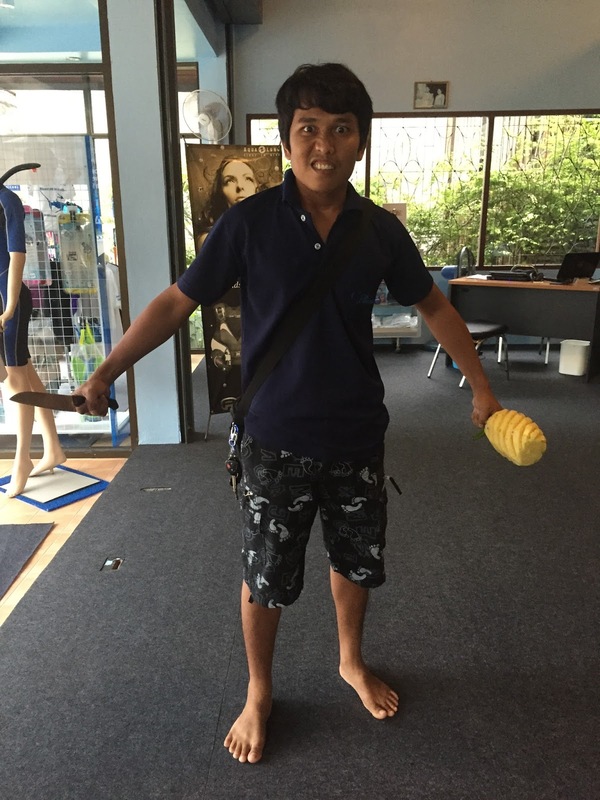 As there has been a lot of information reported in the news and now signs are prevalent on most beaches around Samui, we are continuing to brief our customers about potential box jelly fish in our waters. We are still getting sightings but these have reduced in frequency over the last month or so and are still rare. We do have to remember that this is their ocean and we can't change or stop them being there so rather we all need to be vigilant on our dives and always continually look all around you and particularly be aware on an ascent and descent. We also have a new Office Manager on the team. Stuart Reeve is an experienced Instructor and has lived on Samui for many years. 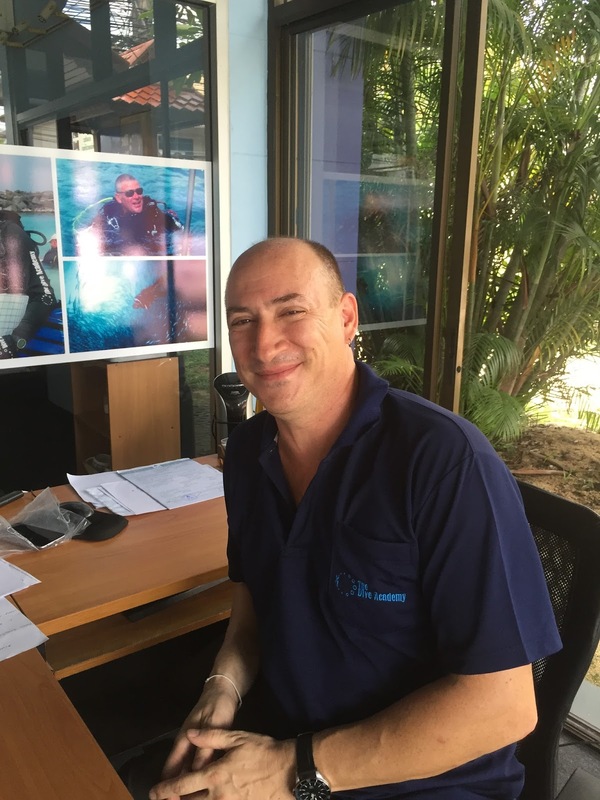 With his experience of diving around Samui and knowledge of dive centre operations he was a great choice for the team, when he joined us last month. Come and say hi next time you're at the dive centre. Later this month, it is both Paul and Claire's birthdays. For Paul it is a 'special' birthday! So there is a special trip planned (involving diving of course) which is all top secret - we'll let you know next month how it all went!